Ideal for those who do not want to miss even a minute of the wonderful Tonale-Ponte di Legno ski area but need an energy boost. 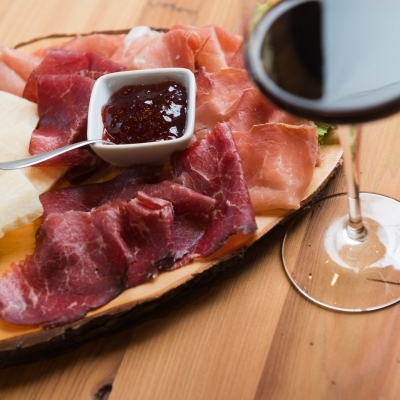 Try our ColorBreak, the classic snacks of Trentino with a contemporary twist: a platter of cold cuts and cheeses accompanied by a good glass of wine. And for the sweet-toothed, a slice of cake or the extraordinary apple strudel of Trentino with a steaming hot chocolate. Tasting continues at après-ski time: to end the day in a light-hearted and happy way in company. 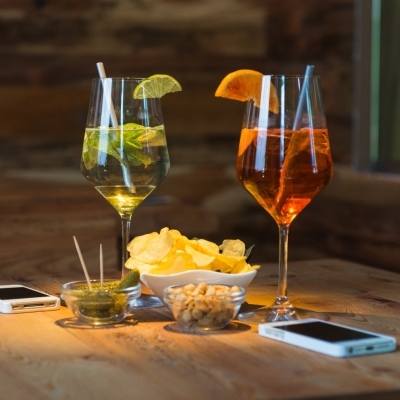 Try a tasty “Hugo”, the renowned cocktail of Trentino, or a spritz, or a selection of non-alcoholic drinks…to be tasted with an exquisite platter of cold cuts and cheeses of Trentino.